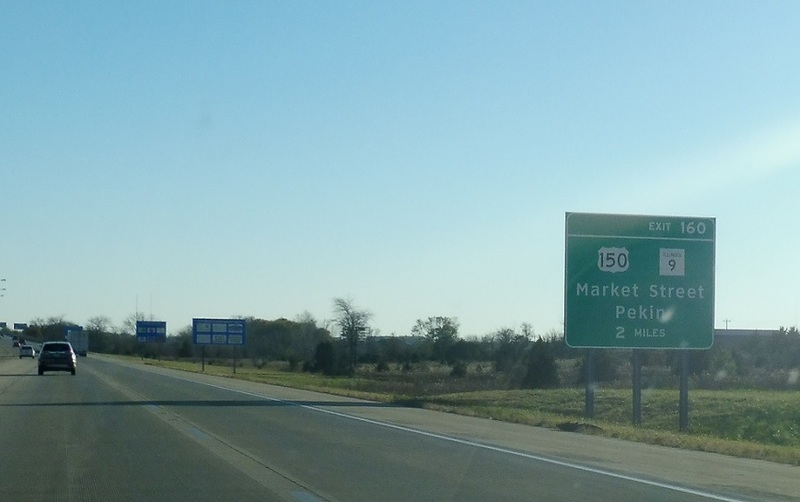 As I-74 joins we’re three miles from US 150 and seven miles from the business loop rejoining. 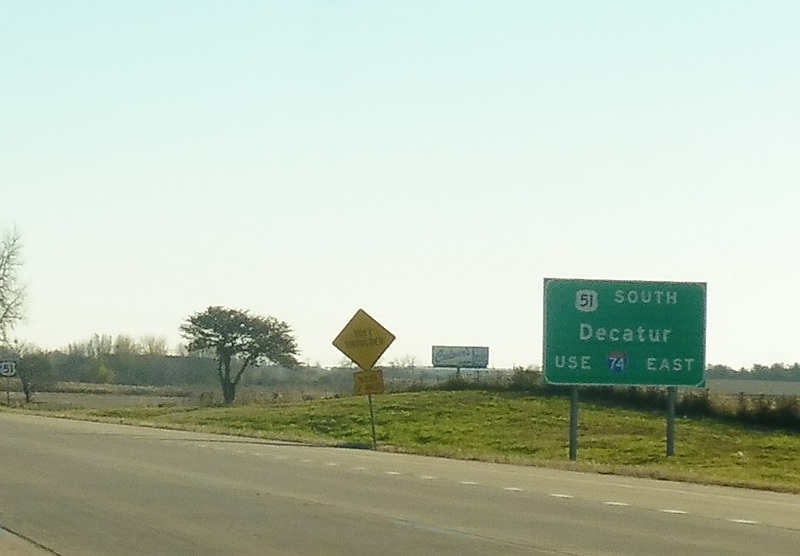 When I-74 splits in seven miles, US 51 will follow it. 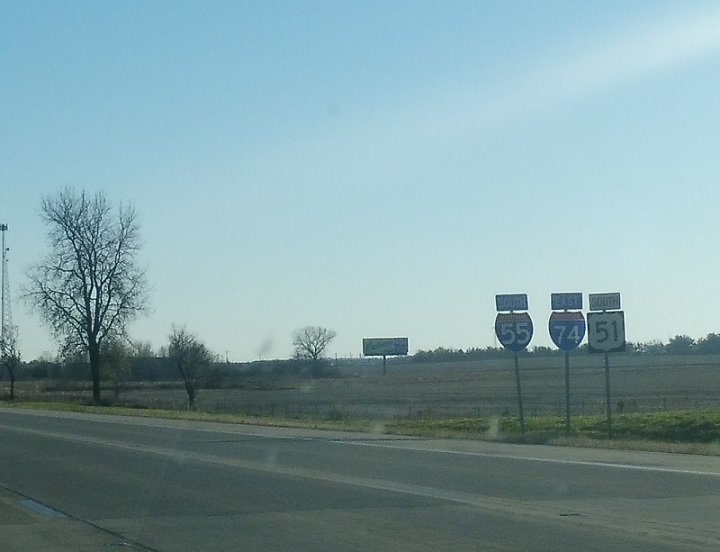 Reassurance shield as I-74 joins the concurrency. 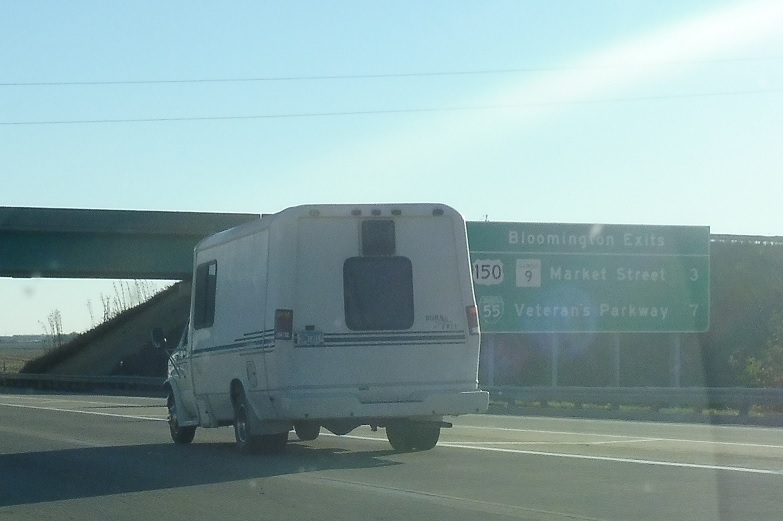 In two miles we’ll approach US 150 and Illinois Route 9. 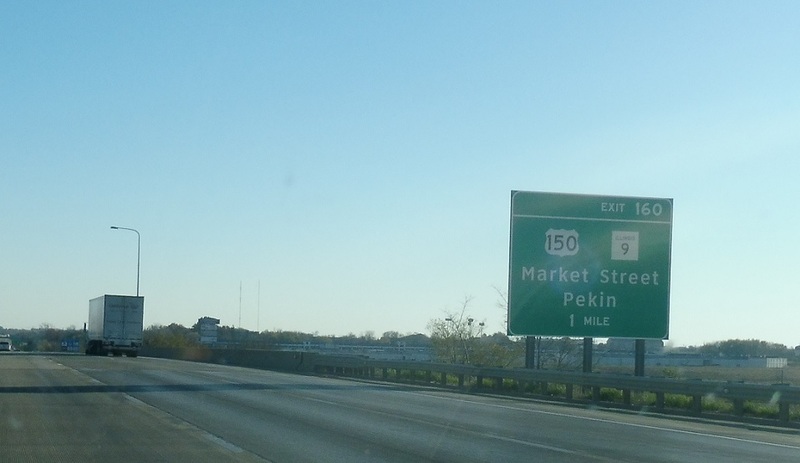 US 150 is Market Street through Bloomington. 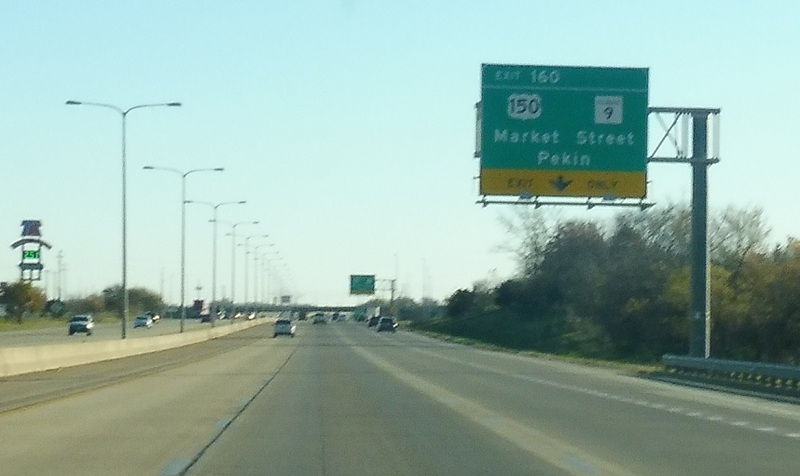 Route 9 heads to Pekin. 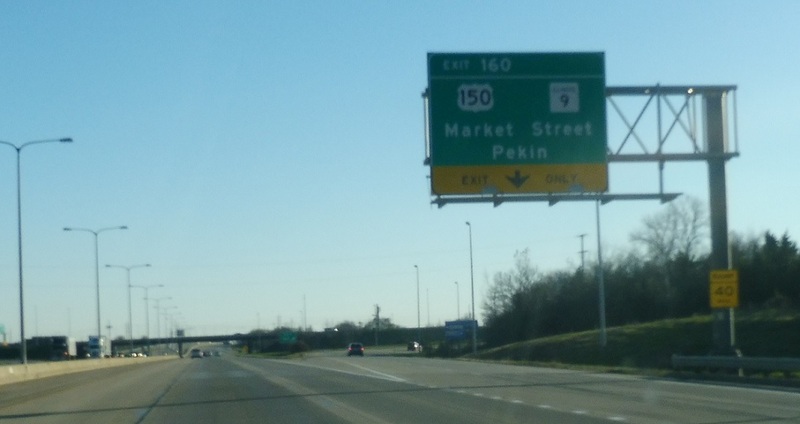 Exit for US 150/Illinois 9.